March 15, 2019 … At the helm in the kitchen is Austrian Chef Simon Petutschnig who has worked in some of Spain’s best kitchens including two Michelin starred Miramar restaurant. In Mallorca, Simon was the founding chef at the award-winning Quadrat restaurant at hotel Sant Francesc and created what was then known to be one of Palma’s best restaurants. Subsequently, Petutschnig met Ivan and Sheela Levy with whom he joined forces to launch FERA which attracts a continuous flow of both locals and global nomads who appreciate the distinct culinary vision that he brings to his kitchen. Petutschnig takes inspiration from both Mediterranean and Asian flavors to create what he refers to as ‘Borderless Mediterranean’ cuisine. This concept focuses on the primary produce sourced locally or from the region. He incorporates ingredients and techniques that best complement each product. 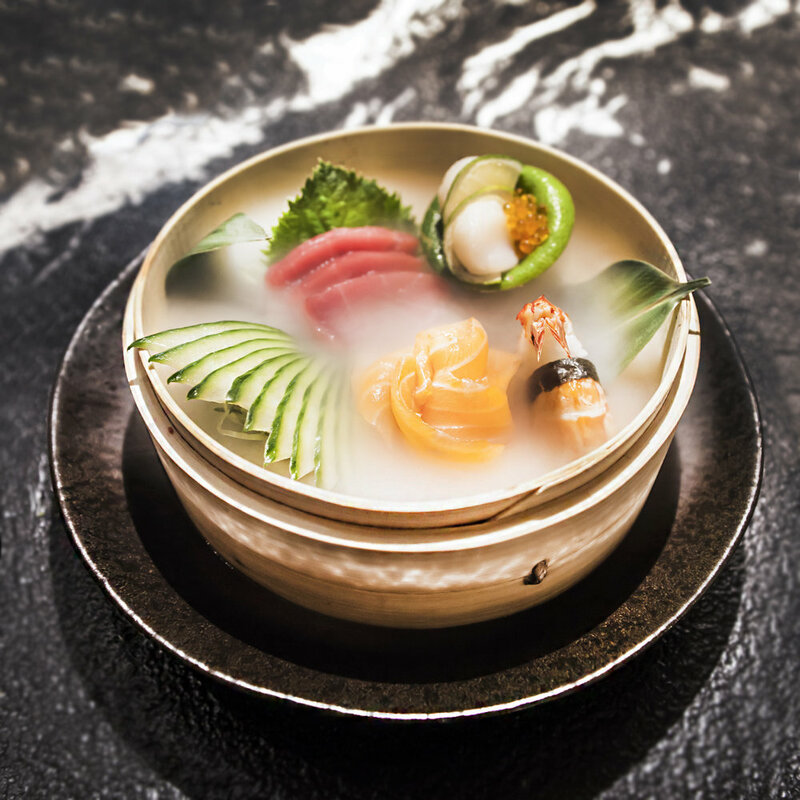 Simon introduces lighter Asian flavors such as ginger, nori and yuzu injecting these highlights into traditional Mediterranean ingredients. Classic examples are Petutschnig’s Mallorcan suckling pig and shitake dim sum, or the Simmentaler beef with crispy nori, truffle and olive oil. The chef prides himself in sourcing only the finest quality ingredients from Mallorca and beyond. He takes an entirely ingredient-focused approach which is elegantly displayed in his 4 tasting menus, and à la carte options. The tasting menus at FERA allow one to select from a variety of choices: the FERA Classic, Art, and Gourmet (€ 49, € 69 and € 89 respectively). Understanding the growing interest, a complete Vegetarian Menu ( € 49/ 69) is offered that is as creative and satisfying visually and in taste as the other menus. Complimenting Petutschnig’s eclectic menus, the bar serves a refined cocktail menu including classics, as well as exotic concoctions including the Trip to Tokio (gin, flambéed fruits, yuzu and ginger ale) and the zesty Bourbon Citrus (bourbon, Cointreau, lemon, lime and cinnamon syrup). New to the island is the latest bar card offering Sake cocktails. FERA also boasts a list of over 90 wines, including 8 bespoke wines exclusive to the restaurant including organic and Mallorcan varieties. 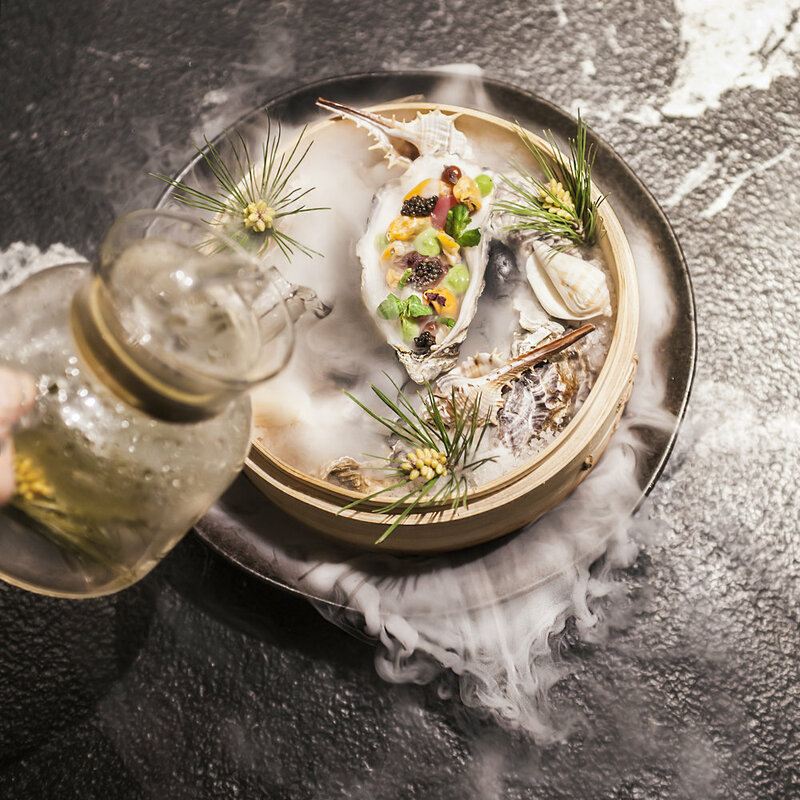 To accompany the cocktails, the bar also offers an array of delectable ‘borderless’ tapas such as Oysters with trout roe and ponzu, or Salmon California Maki with avocado and wasabi emulsion. FERA is a feast for all of the senses. With an impressive art collection including sculptures, photography, paintings and large-scale site-specific installations by Aba Art lab. The art pieces were all carefully curated by co-owner and interior designer Sheela Levy, who also designed the restaurant’s interiors. 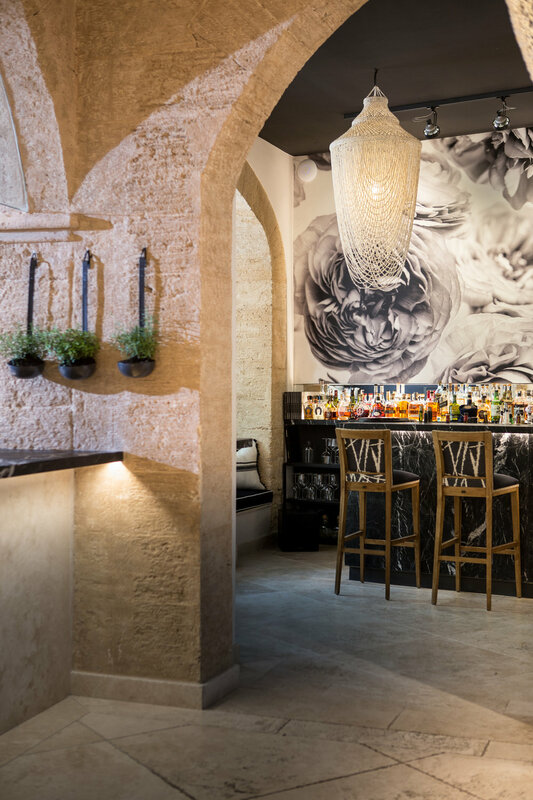 Featuring neutral tones, and minimalistic furniture sourced from the world over, the restaurant’s design allows the art to take center stage whilst maintaining the charm of the old building. 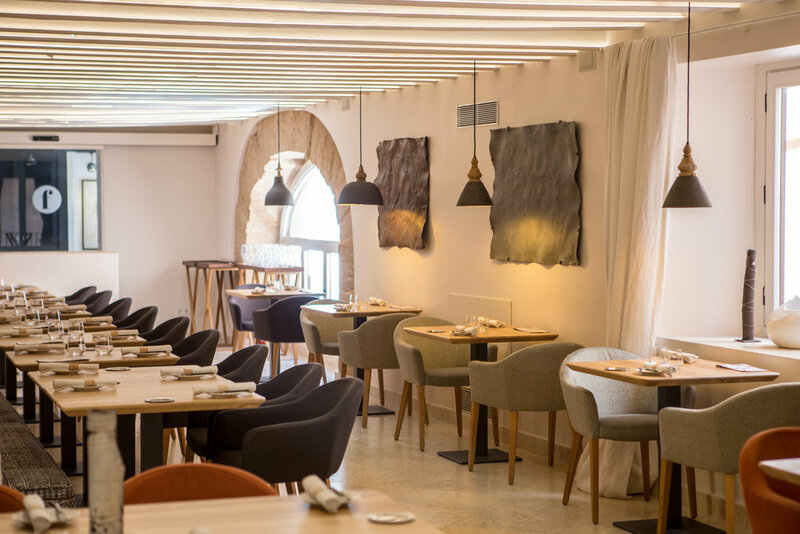 On entering FERA through the typical Majorcan courtyard with sculptures and greenery, diners can opt to eat in the warmly lit main dining room, or for those that prefer a more intimate experience, the exclusive charcoal and white library room. With space for only 16 people, the library is the ideal spot for a private dinner party or quiet date night. The bar with its old stone arches, spectacular Balinese chandeliers and view overlooking the charming garden provides a perfect retreat for a pre or post dinner drink.